World News – A transgender teenager won a Texas state title for girls wrestling on Saturday — even though the wrestler, 17-year-old Mack Beggs, identifies as a boy. 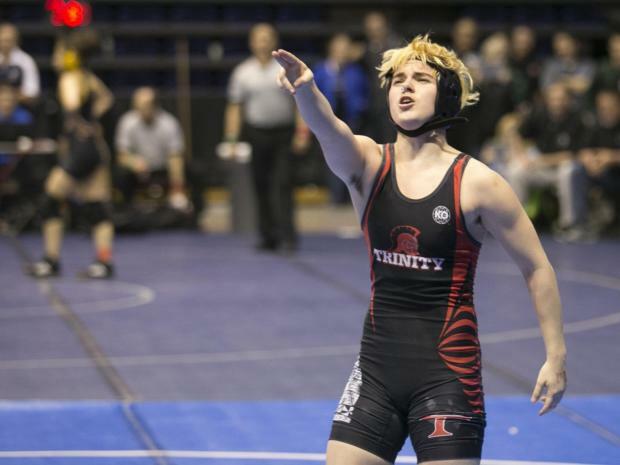 The junior from Euless Trinity, northwest of Dallas, emerged victorious in the 110-pound weight class to cheers and jeers after forfeitures from previous opponents and a bid to block him from competing failed. Instead, much of the focus was on Mack, who is transitioning from female to male and is taking testosterone. Mack would have preferred to be wrestling boys, but state policy forced him to compete according to the gender listed on his birth certificate. Some parents worried that this created an unfair advantage. Another parent, Jim Baudhuin, filed an injunction that sought to have the state’s University Interscholastic Scholastic League bar Mack from wrestling. Baudhin told the AP that he sympathized with Mack, whom he referred to as a female. Baudhuin’s effort failed, however: The state allows steroids if they’re used for valid medical purposes. Some classmates rallied behind Mack — “I think he should do whatever he wants to do and be whatever he wants to be,” as one put it — while LGBTQ advocates worried about the broader problems Mack’s experience point to. The debate comes as Texas lawmakers have proposed a new so-called bathroom bill and as transgender students across the country worry about losing gains made under President Barack Obama. Last week, officials at the Education and Justice departments rescinded Obama-era directives that allowed those students to use bathrooms and locker rooms that aligned with their gender identities.